Fri., April 20, 2018, 10:35 p.m.
Blake Clanton had a school-record four doubles, including a two-out, two-run double to left-center in the fifth inning Friday that provided Washington State with the winning runs during a 12-10 nonconference baseball win over Santa Clara at Bailey-Brayton Field. The Cougars (11-20) trailed 10-9 after the Broncos (16-19) scored twice in the top of the fifth. Andres Alvarez started WSU’s rally with a two-out walk. JJ Hancock had an RBI single and a throwing error by third baseman John Cresto extended the inning. Clanton, who finished 4 for 5, also had an RBI double during WSU’s three-run first. After the Broncos stormed ahead 8-3, the Cougars tied the game with a five-run third, beginning with another Clanton RBI double. Alvarez’s two-run double capped the inning. A.J. Block (1-3) earned the win with 1 2/3 scoreless innings, striking out three. Ryan Walker pitched 2 1/3 scoreless innings for his fourth save, ending the game with a double play. California 11, Washington 4: Tyrus Greene homered and Max Flower had three RBIs to guide the Golden Bears (22-13, 8-8 Pac-12) past the Huskies (17-16, 8-5) in Berkeley, California. Greene homered to lead off Cal’s four-run first that was aided by two Huskies errors. Cameron Eden had a two-run single in the fifth to give Cal an 8-3 lead. Whitworth’s Marissa Mount and Kayla Leland posted record times and the Pirates women took the lead after the first day of the Northwest Conference Championships in McMinnville, Oregon. Mount ran the best 3,000-meter steeplechase time in the nation this season (10 minutes, 25.87 seconds), setting a meet record. Leland followed with a meet-record 35:54.37 in the 10,000, breaking the 2004 mark (36:23.88) set by Whitworth’s Leslie Nelson. The Pirates piled up 72 points to lead host Linfield by 16. Whitworth’s Jacob Hubbard placed second in the men’s hammer throw with a season-best 161 feet, 7 inches. The Pirates (33) stand in third place. 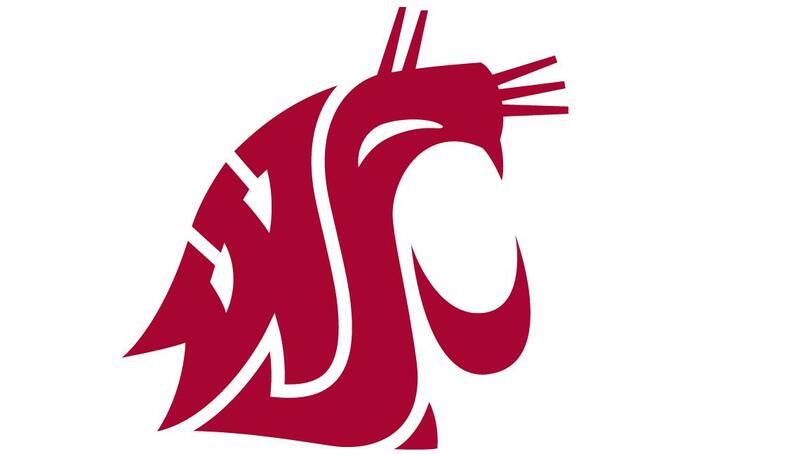 Washington State’s Sander Moldau set a lifetime best while winning the men’s pole vault at the Bryan Clay Invitational in Azusa, California. One day after clearing a personal-best 17-1 to win the event at the Pacific Coast Intercollegiate, Moldau soared 17-8 1/4, the fourth-best mark in WSU history. Also for WSU, Greer Alsop (a season-best 41- 3/4) and Oyinlola Akinlosotu (40-11 3/4) finished 1-2 in the women’s triple jump. Nick Johnson (Gonzaga Prep) won the men’s 110 hurdles in 14.07. Michelle Kim shot a first-round 1-under-par 71 to lead Idaho’s charge to the top of the leaderboard at the Big Sky Conference Championships at Boulder Creek Golf Club in Boulder City, Nevada. The Vandals finished at 8-over 296 to tie Portland State for the lead at the three-day event. Third-place Sacramento State is five shots back and Eastern Washington is tied for fourth at 306. Big Sky Golfer of the Year Sophie Hausmann of Idaho is tied for sixth at 73. Kimberlie Miyamoto led EWU with a 74, one shot better than teammate Madalyn Ardueser. (3) UCLA 3, (1) Washington 0: Rachel Garcia (14-1) pitched a complete-game three-hitter, striking out 10, and the Bruins (38-3, 13-3 Pac-12) defeated the Huskies (41-3, 12-3) in an elite matchup in Los Angeles. Aaliyah Jordan went 2 for 3, including a solo homer to lead off the fourth, snapping a scoreless tie. UW starter Taran Alvelo (21-2) allowed six hits and three earned runs in six innings. Linfield 5, Whitworth 1: Shelby Saylors (18-5) allowed one earned run in seven innings and Makenna Clizer homered to lead the Wildcats (33-8) past the Pirates (24-17) to open the Northwest Conference Tournament in Newberg, Oregon. Saylors scattered nine hits, struck out three and walked two. Her shutout bid ended with Natalie Edlin’s RBI single to center in the fourth. Pirates cleanup hitter Michelle Silva finished 3 for 4 with a run. Whitworth will attempt to avoid elimination at 11 a.m. Saturday against host George Fox. Published: April 20, 2018, 10:35 p.m.